Philadelphia Inquirer, December 30, 1896. Further to that out-of-control coterie of working-class dope fiends in that hitherto unnamed Connecticut town. 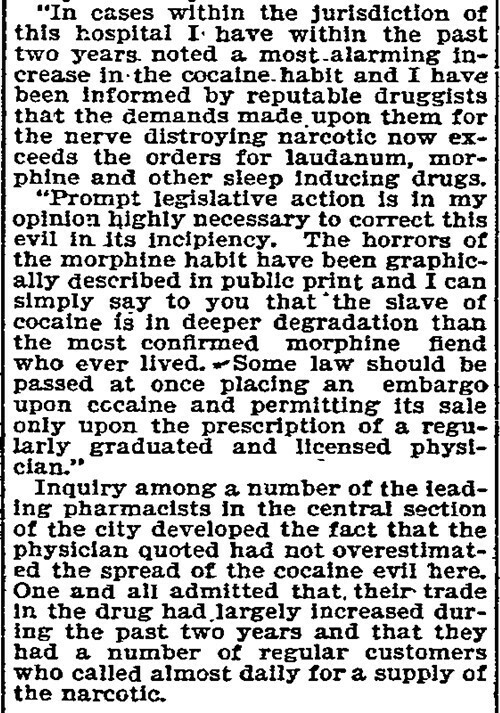 You wouldn't think there'd be much demand for cocaine as a cure for insomnia, but it just goes to show that response to a given addictive substance is culturally mediated: One man's marching powder is another man's Ambien, at least until the dust clears off the crater and everyone agrees what its attractive properties are. Either that or the local pharmacists were cutting it with something other than milk sugar and menthol, though that doesn't seem to have been the case. 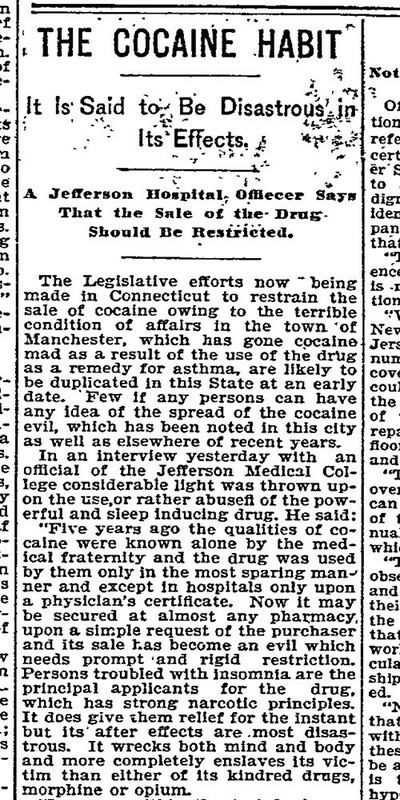 Fun fact: Cocaine didn't become a controlled substance in the U.S. until 1970. Until then, pharmacists could and did still distribute it. There was good money in it for them, but didn't do a lot for the trade's collective reputation, as these gorgeously sinister Edwardian editorial cartoons attest.